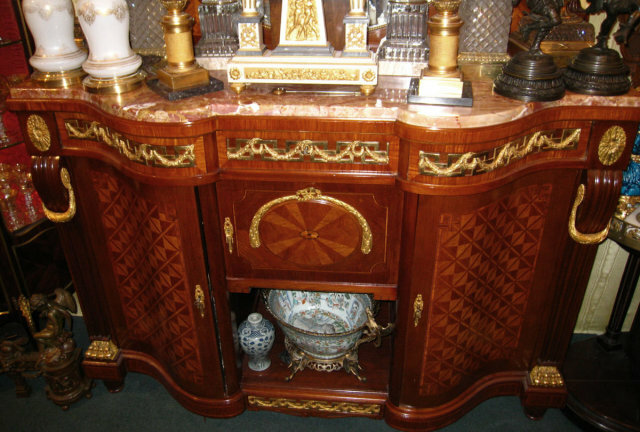 This server ( sideboard, buffet, side cabinet ) in the French Louis XVI style features a variegated marble top, mirror, exceptional parquetry inlaid designs and gilt bronze mounts including swags, drapery, ribbon and lion paw motifs. 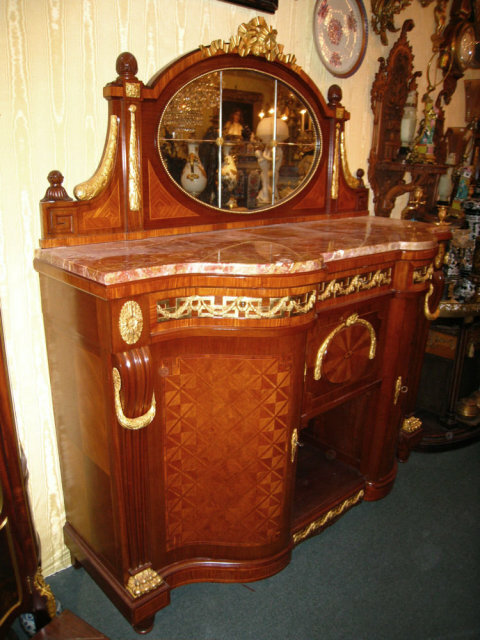 It dates from the mid to late 20th century and the cabinet maker is unknown. Additional images forwaded upon request. 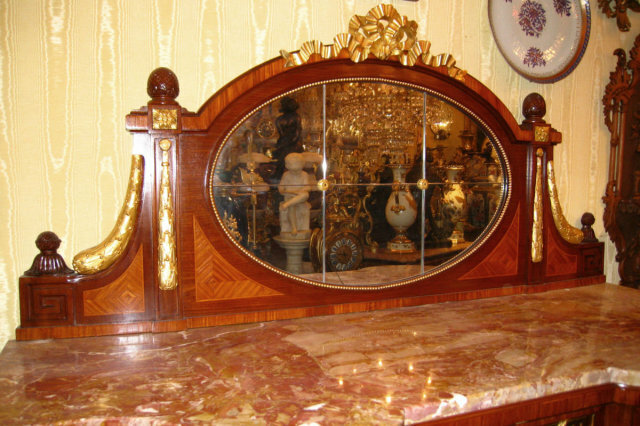 Items Similar To "Louis XVI Style Gilt Bronze Mounted Server"